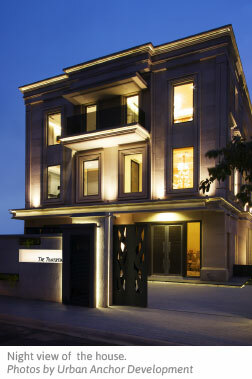 KUALA LUMPUR: Urban Anchor Development Sdn Bhd, a Malaysian and Hong Kong joint venture company, launched its first project in Malaysia — The Travertine in Hartamas Heights — last Friday. 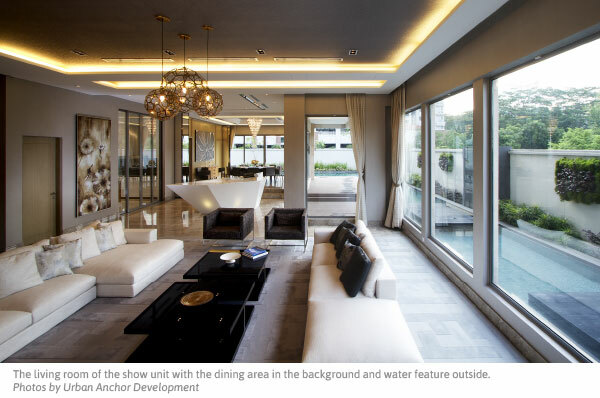 Malaysia-based Urban Anchor Development partnered with Urban Anchor Ltd, an architectural and interior design company from Hong Kong to design the homes. Urban Anchor Development was established in 2008 by Lim Soo Ka, Gary Chan and Leo Chan. Leo is also one of the founders of Urban Anchor Ltd. The first phase of the development comprises six bungalows and so far, two have been sold. The development will have two phases, with Phase Two to be launched next year. Instead of building and then selling the units, the developer will not build until buyers for them have been secured and the designs confirmed. Buyers can opt for design recommendations or work with the designer to come up with their own designs. Lim said the houses being in Hartamas Heights next to Publika is also a plus for the development. The 3-storey show unit, which has a gross development value (GDV) of RM15.5 million, will be sold. It has a built-up of 13,000 sq ft and comes with a basement and a rooftop space. Lim said the GDV for The Travertine is estimated to be between RM80 million and RM90 million. “But bear in mind that the show unit is fully furnished. An unfurnished unit will cost approximately RM13.5 million,” he said.